In the not-so-distant past a Delta native returned home with big ideas. Scott Coopwood launched his beloved Delta Magazine in 2003. It’s always a treat when Delta Magazine arrives; it feels like getting a special present. The latest issue has long been the topic of conversations at cocktail parties, coffee shops and dinner tables. Many have examined it’s pages looking for someone or somewhere they know. The periodical has evolved and grown over the years and stays on the cutting edge of all things Mississippi Delta. Delta Magazine makes the Delta look almost as good as it looks in person. 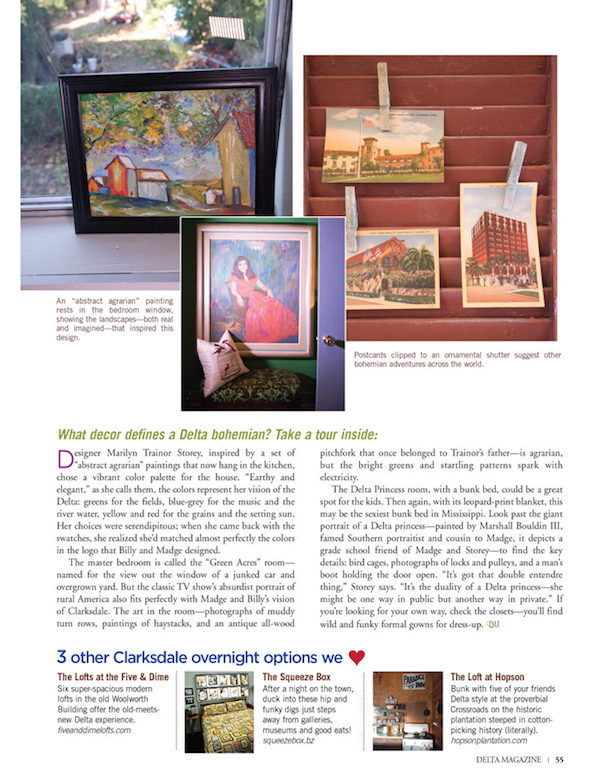 The most recent publication is touted as “The Ultimate Insider’s Guide.“ (Volume 11, Number 4) Clarksdale, our hometown, made a big splash in the issue, including a feature on the Delta Bohemian Guest House. 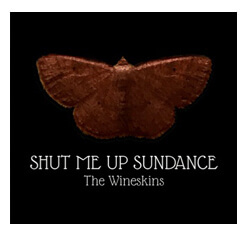 Fifth-generation Deltan Scott Coopwood is the founder and publisher and also a talented musician. His editor-in-chief, Melissa Baker Townsend, also a fifth-generation Deltan, is tapped in to the changes and trends sweeping over our flatlands and reports them in a meaningful and personal way. 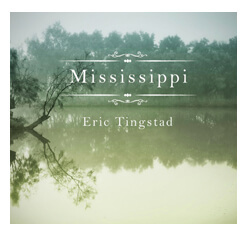 If you love the Mississippi Delta, whether you live here, used to live here and miss it, used to live here and pretend to not miss it but secretly do, visited here and can’t get it off your mind or long to visit here, then you need to subscribe to this magazine. 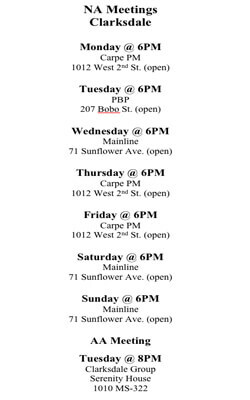 You can do it HERE! 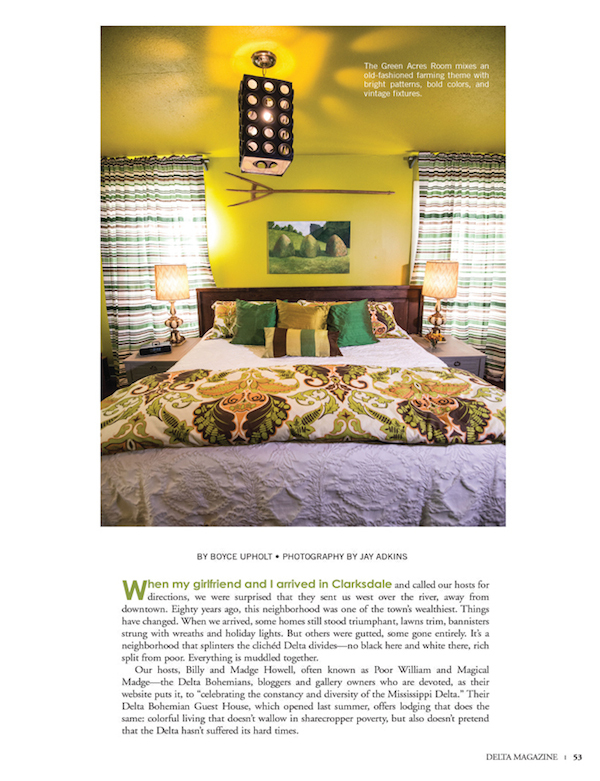 We are especially proud that our Delta Bohemian Guest House is featured in “The Ultimate Insider’s Guide.” What a blessing! 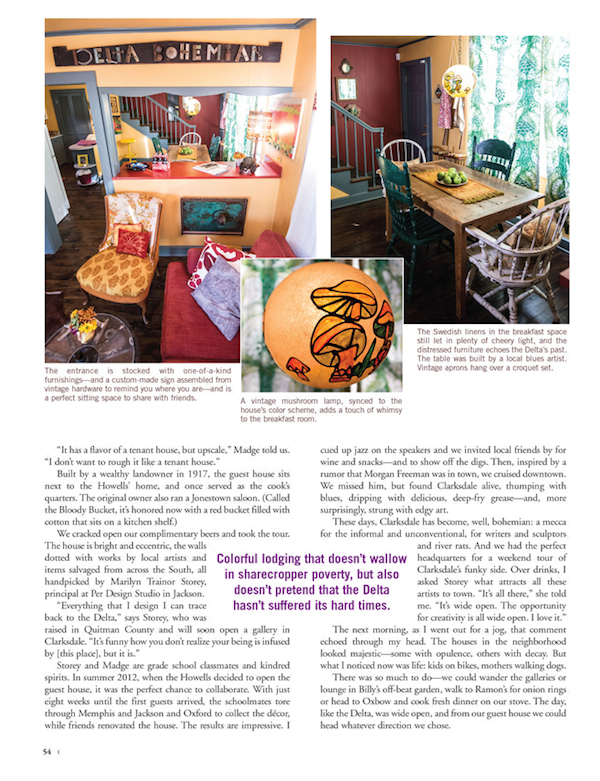 Read the article below, which also features our friends The Lofts at the Five & Dime, The Squeeze Box and The Loft at Hopson. Thank you, Delta Magazine; the Mississippi Delta and all who love our native land appreciates y’all. 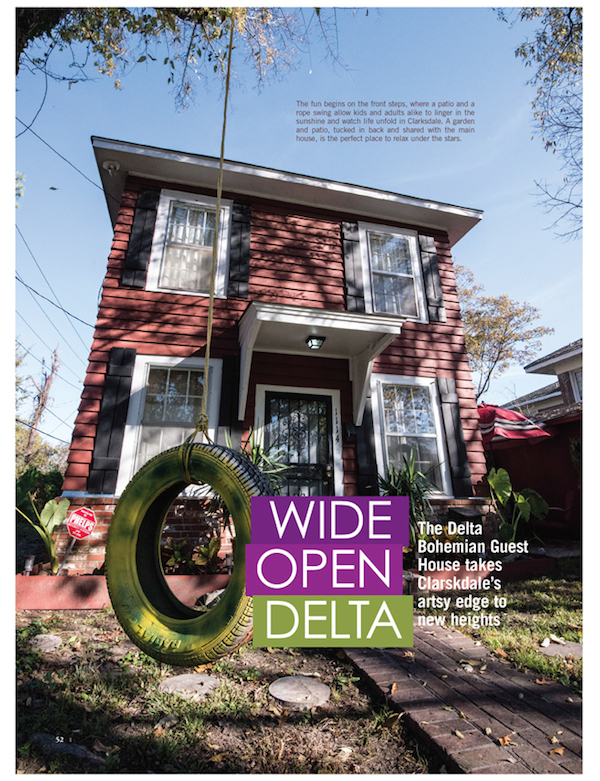 WIDE OPEN DELTA article about the DBGH in Delta Magazine is by Boyce Upholt. Captivating photography by Memphian Jay Adkins. 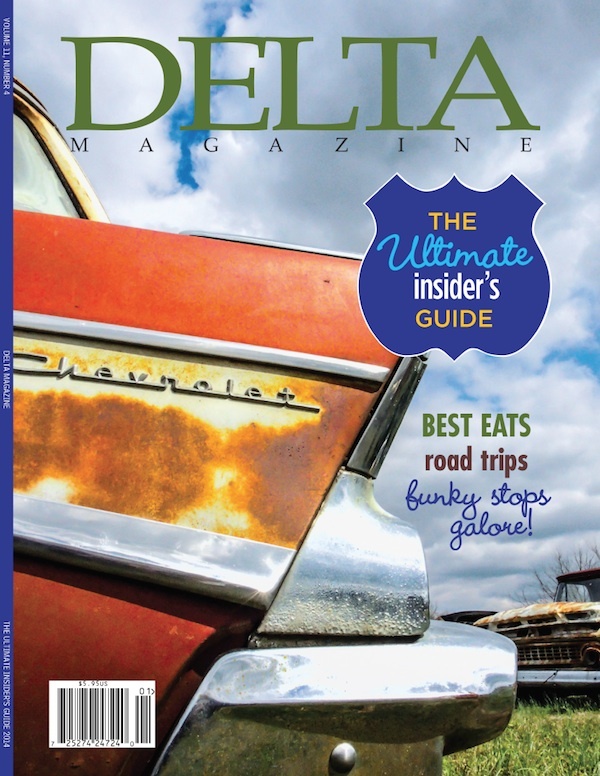 Subscribe today to Delta Magazine online! WE ENCOURAGE COMMENTS AND SHARING TO YOUR SOCIAL MEDIA OF CHOICE. Good morning. I just read an article in our local newspaper in Lafayette,La. It was about scoot coopwood. Please tell him hello for me. He will remember me from our camp in pass Christian,ms. He and his family would visit his uncle’s camp which was 2 doors down from us. This was when we were teenagers. I dated his sister a few times while I was at ole miss. Here is even better part. I purchased the property that his uncle’s camp was on about 4 years ago. His uncle was j w Thomas. Also. While at last years LSU/Ole Miss game in Oxford I asked a couple where a certain cafe was located on the square. They were from the delta. I mentioned the coopwood family and they knew them. They knew j w Thomas very well. It was fabulous to see he has done so well in business as well as music. Please congratulate him for me. If he has time to call and chat my number is 337 654 2830.